Find yourself in the mysterious world of changed rocks with this My Rockin’ Collection! Metamorphic Rocks from Mini Me Geology. Metamorphic rocks are the rocks that were igneous or sedimentary and changed either physically or chemically by heat, pressure or hot, mineral-rich water. The term metamorphic comes from the Greek words “meta” which means change and “morph” which means form. As you observe and test your samples you will discover the mineral content, color and texture changes in your metamorphic rock, what the original rock was before the change, common locations of your rock and it uses. The name of your metamorphic rock is hidden below a foam pad in each sample compartment so you can test your identification skills and check your results. 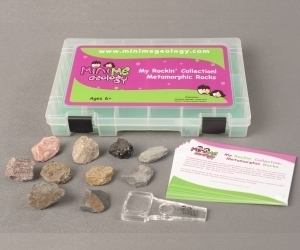 Kids and teens love this kit because of the unique colors, textures, and properties of the metamorphic rocks. 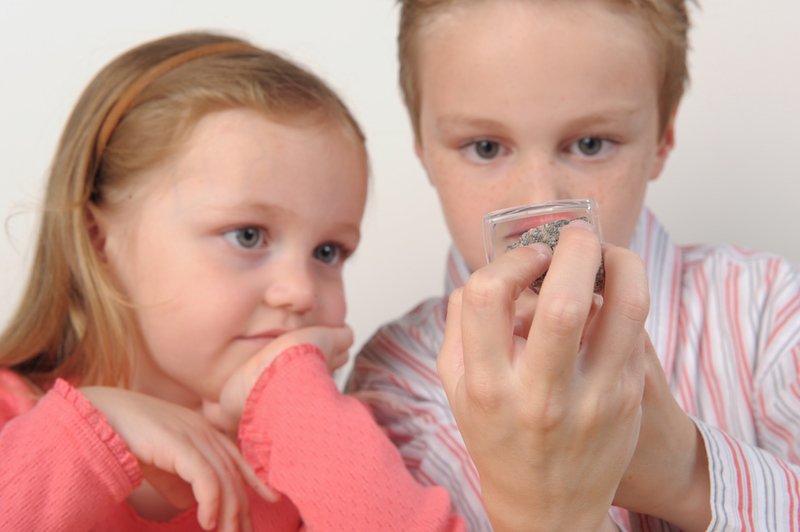 Teachers and parents love the kit because it teaches experiment testing, deductive reasoning and thinking skills.